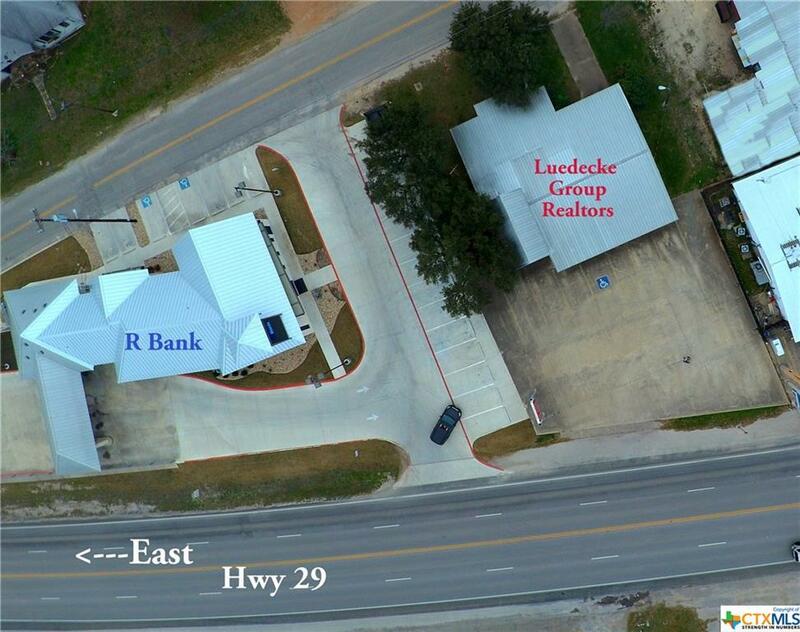 Great office building located on Hwy 29 in Bertram, 94 feet of hwy frontage with 15 parking spaces. Completely remodeled in 2005 new roof and interior. Currently has 5 offices but could easily be converted into 7. Full kitchen, 2 bathrooms, and large storage area. Property could be split into two separate spaces each with a bathroom and private entrance. Front access is on Hwy 29 and rear access on Vaughan St. the main thoroughfare through Bertram. Prime location for various commercial and retail uses. Listing courtesy of Harry Pokorny of Lone Star Properties.